Vintage Leaf Memories - Michael Langlois: We can’t seem to attract big-name UFA’s, but how often have we lost star players? 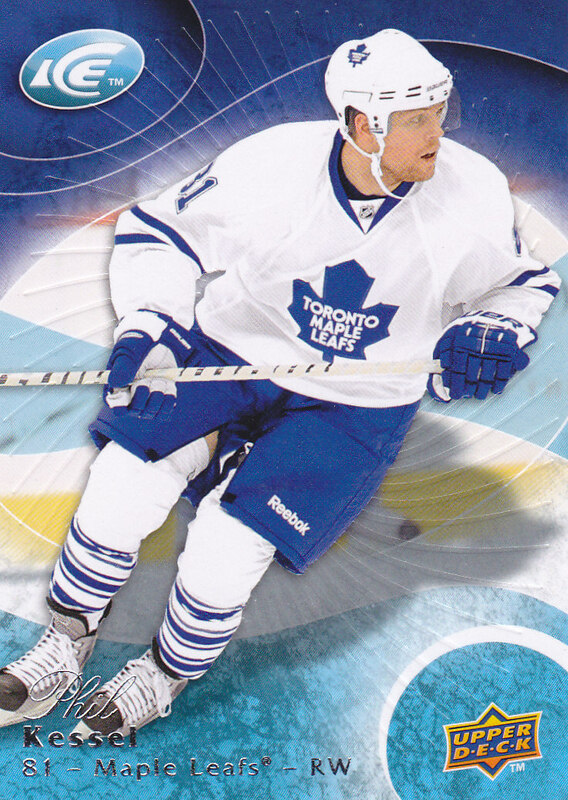 As for Phil Kessel…. We can’t seem to attract big-name UFA’s, but how often have we lost star players? As for Phil Kessel…. The ongoing discussion—and we’ve had a fair bit of it here at VLM—around why the Leafs just can’t seem to attract elite UFA’s (taxes, media scrutiny, a mediocre team, unwillingness to over-spend, following the "plan", etc.) got me thinking. 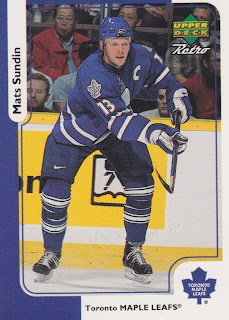 While certainly conceding that we haven’t really landed a big fish in almost 15 years (Curtis Joseph being the most recent in 1998; am I missing someone else?) via the free-agency net, conversely, have we really lost any/many big-name guys who leave town when the opportunity arises? I guess what made me think on this is seeing how difficult it must be for a franchise like Nashville to spend years developing a player (e.g Ryan Suter) and yet, the first chance he gets- despite being offered more money than he could ever spend in his lifetime by his current team- he bolts. It's his free choice, of course. But whenever I see a player leave an organization that has paid him exceptionally well over the years and been fair in its interactions with that individual, it has to be tough lose that player. That simply hasn't happened much to the Leafs over the years. Now, not to jump too far ahead in this discussion, but I do wonder if things will ‘turn’ in this regard when Phil Kessel has his opportunity to fly the coop in a couple of years. I’m thinking Burke will try to lock him up before Phil hits the open market, but of course there is that small issue of whether Kessel can become the kind of 200-foot player Carlyle seems to expect him to be. Maybe I’m misreading the climate—both parties seemed to say all the right things at the end of last season—but unless Carlyle has had a sudden reversal, he historically has expected even his star players to compete all over the ice. He did not click (understatement) with Lupul in Anaheim, and suggestions have surfaced that Duck forward Bobby Ryan was not exactly a Carlyle fan, either. This is not to say Carlyle can’t work with star players, simply a reflection on the reality that Kessel has not, to this point in his career, fully morphed into that all-around player that fans (and coaches) dream about. Who can argue with the statement that he is flat-out exciting with the puck on his stick? There aren’t many guys who can make the plays he does at high speed. He is a dangerous offensive player. But, his defensive work with Lupul last year at times was, well...is ordinary a fair word? In any event, the relationship between Carlyle and Burke’s ‘chosen one’ (he who shall forever likely be spoken of in the same sentence as Tyler Seguin) should be fascinating to watch as it evolves. Maybe Kessel will mature as a player (I think we all saw some growth last season) and if so, there will simply be no issue. Maybe Carlyle just lets him 'run', and there is no collision course brewing between player and coach. Whatever, maybe we can rely on recent Toronto hockey history that tells us that, generally speaking, star players like Sundin liked it here, and wanted to stay. Do we feel any better now? In the long run, I think the Leafs would sooner trade Kessel, even as a rental, rather than letting him walk. I hope it doesn't come to that though. Kessel can be a bit maddening to watch at times, eh? He's got all the skill in the world to not just provide offensive spark, but he could actually play a great defensive game if he really wanted to. We even saw some of that early on last season. To do so, he would have to first get in proper shape (I've never seen a player so gassed after every shift), and second, he will always be the type who needs a good kick in the rear. I've long accepted that Kessel is not a self-starter, and without a coach or teammates to push him along, he will do nothing but wait for offensive opportunities to fall in his lap and run with them. That's why I found it interesting that you happened to mention Gary Roberts. No one I've talked to seems convinced when I have said this, but I will say it here. I believe that if ever there were a team with 20 Gary Roberts on the roster at one time, that team would never lose a game. He was simply the perfect player, with equal parts skill and grit, but more importantly he gave more on the ice than anyone, every game, and his teammates always responded to him too. I've wondered why he is not coaching today. Imagine how Kessel would be flying around the ice today if he were being given that push by Roberts. Well, I suppose that's just hoping for a best-case scenario with Kessel. Maybe Carlyle will get the most out of him. Or maybe Kessel will not respond. If he doesn't, then when it's his time to cash in on free agency, I will smile when I see another team throw millions of dollars his way. It'll be $5 million a year we can better spend elsewhere. There's no question Roberts was an inspirational player, Pete, during his time in Toronto, for all the reasons you cite. I wish that I could say that I felt better but I don't. Mats was acquired through trade at a time when free agency took longer to attain. By that time he was captain of the team and settled into the city. In the later years a lot of people were upset that he wouldn't accept a trade to a contender for a chance at the Cup. How many people out there think that Brian Burke took a serious run at both Suter and Parise. Or any kind of run at all for that matter. I mean, it makes sense. We need the cornerstones to become a contender. Yet I bet we didn't even try. That is why I do not feel better. I hear you, cbh747. You want to believe the "plan" will come to fruition. But my concern is this: Burke now continues to criticize teams that (supposedly) circumvent the cap while spending crazy money. (I hate that, too.) But how worse is that, in terms of mis-management, than what he has done for years with the mediocre, over-paid, and subsequently under-performing UFA's he has brought in? Is it good management to have to buy guys out- guys that you signed in the first place? Can't even blame previous management. He is paying Dion a king's ransom, but is the guy really that kind of player? It's all in how the brass wants to spin things. Now we are supposed to get excited about summertime prospects. Oh well...we have to keep the faith! Part 1) Notwithstanding his awe-inspiring talent, Kessel has never inspired my admiration in the way that Roberts did. I never felt easy about the trade and feel even less easy about it given the way that the draft choices transpired with Sequin and Hamilton in particular. That said, I think I would have to actually be in the arena and not just watching the idiot box, to get a true handle on Kessel’s defensive game. From what I hear there is work to be done there. One also gets the sense that he is relatively easily discouraged on the offensive side as well. All along I wondered about the price paid for Kessel, and the fact that a successful manager like Peter Chiarelli was willing to accept it. Evidently, it was a preferable option to him than matching a RFA offer sheet, which indicates that is as much as the market was likely to bear. This fact suggests that the Kessel deficiencies that we are seeing now were there all along and considered unlikely to be overcome in the long term. It will be interesting to see if Kessel can prove so many of us wrong, and if there will be an extension. My fingers are crossed on both counts. The key to retention of talent in the long term will probably hinge on a well functioning organization, one that wins with happy players. There are many elements that go into creating a winning, contented team. Lately, a lot of criticism has been leveled at the Leaf’s UFA signings under Burke, as an area that has been less successful than others. However, the UFA signings story does not end with overpaid underachievers. Remember François Beauchemin? He was a bargain, and led to the acquisition of two potentially elite players through trade in Gardiner and Lupul. On another tack, Michael’s well-founded criticism of player development could be a management deficiency in transition, given the steady, patient evolution of talent on the Marlies, a luxury that has been afforded by stopgap UFA signings. Player development is temporal, and consequently, criticism of bungled player development always comes after the horse has left the barn. It could be that that historical Leaf management deficiency over the years is being addressed at this time. Certain signs indicate that improved player development could be the case. Why does this have me concerned as well? It seems to me that the amateur scouting department has been giving management a lot to work with, despite management’s unnecessary generosity in stocking other teams with potential Leaf assets. I would be very interested to see what Morrison’s staff could achieve if there were more attention to detail in retaining draft assets and found wallets like Mitchell Heard. Unfortunately, at the end of the day, the devil lies in these very details. You've hammered a nail well into the two-by-four on this one, Bobby C.. And yes, Anthony's piece over at MLHS was instructive. I'll have more to add to your comments in a post I hope to finish in the next couple of days. Thanks for taking the time on a hot, humid Wednesday in July to provide a realistic, yet hopeful perspective on Kessel and the Leafs. "we haven’t really landed a big fish in almost 15 years (Curtis Joseph being the most recent in 1998; am I missing someone else?) via the free-agency net"
Ed Belfour and Eric Lindros aren't "big fish"? I guess I'd say yes and now. Belfour was past his prime, as was Eric, when they arrived here. If we had gotten Lindros years before, maybe. But they were very good players, even at that point in their careers, for sure. (And as I said, I knew I might be missing some names!) Thanks Adam. UFA signings are like an arms race. Participating is foolish, and in the long run, destructive. On the other hand, if you don't participate, the destruction is immediate. It is a difficult thing, David. We criticize teams for over-spending and offering UFA's crazy term, but doing nothing doesn't always move the needle, either! Thanks David.